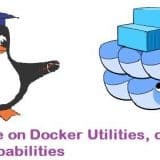 In this tutorial we will discuss most frequently asked linux system admin interview questions for Beginners. Below are the list of L1 level Linux interview questions..
Q:1 How To check the uptime of a Linux Server ? Ans: Using uptime command we can determine how long a linux box has been running , also uptime can be viewed by the top & w command. Q:2 How to check which Redhat version is installed on Server ? Ans: Use the command cat /etc/redhat-release , output of this command will tell you the redhat version. 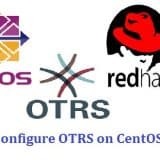 Q:3 How to install rpm packages in Redhat & CentOS linux ? 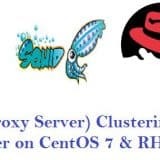 Ans: rpm and yum command are used to install packages in redhat linux and CentOS. Q:4 How to check the ip address of LAN Card ? Ans: Using ‘ifconfig’ & ‘ip address’ command we can determine the ip address of LAN Card. 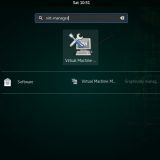 Q:5 How to determine the hostname of a linux box ? Ans: On typing the hostname command on terminal we can determine the hostname of a linux server. Q:6 How To check the default gatway ? Ans: Using ‘route -n’ command we can determine the default gateway in linux. Q:7 Which Command is used to check the kernel Version ? Q:8 How to check the current runlevel of a linux box ? Ans : ‘who -r’ and ‘runlevel’ , both of these command are used to find current run level. Q:9 What is Initrd ? Ans: Initrd stands for initial ram disk , which contains the temporary root filesystem and neccessary modules which helps in mounting the real root filesystem in read mode only. Q:10 What is Bootloader ? Ans: Bootloader is a program that boots the operating system and decides from which kernel OS will boot. Q:11 How to list hidden files from the command line ? Q:12 What is soft link ? Ans: Soft link is a method to create short cuts in linux. It is similar to windows short cut feature. 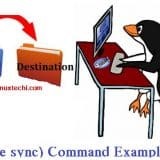 Q:13 How to create a blank file in linux from command line ? Q:14 What is run level 2 ? Ans: Run level 2 is the multi-user mode without networking. 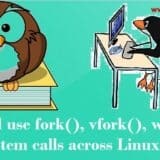 Q:15 Why linux is called OpenSource ? Ans: Because One can customize the existing code and can redistribute it. Q:16 How to check all the installed Kernel modules ? Ans: Using the Command ‘lsmod’ we can see the installed kernel modules. Q:17 What is the default uid & gid of root user ? Ans: Default uid & gid of root user is 0. Q:18 How To change the password of user from the Command Line ? Q:19 What is a Process ? Ans: Any program in execution is called a process. 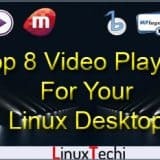 Q:20 What is name of first process in linux ? Ans: ‘init’ is the first process in linux which is started by kernel and whose pid is 1. Question 6, you answered “rount”, and I’m pretty sure you meant route. Thank you Admin for sharing the Q& A for linux interview..
Thanku you it’s very good. 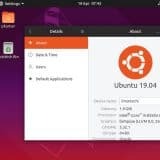 Thank you Admin for sharing the Question & Answer for linux interview.. and need to update in-case wrong answer to correct.